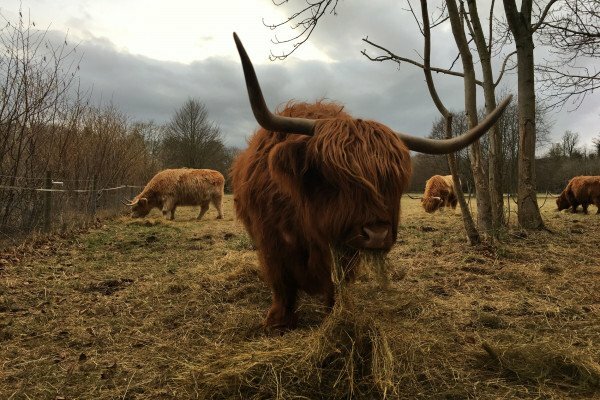 Andrew - For the past 20 years, the long term strategy of the UK government for the control of bovine tuberculosis in cattle has been the development and use of an effective vaccine. Bovine tuberculosis, although primarily affecting cattle, is a disease that can affect anything warm and furry, including humans. However it's also known to infect many wildlife species - most controversially in this country, the badger. And it's the controversy over the culling of badgers to control the spread of bovine TB which was one of the main reasons that cattle vaccination has been seen as the final end game for control. Chris - Why should developing a vaccine for an infectious disease be anything other than a good thing? Andrew - So vaccines are, as we know, the most efficient way of controlling infectious diseases because they don't just protect the individuals that we vaccinate but they also reduce the rate at which the disease is spread in the population - so called herd immunity effects. The problem with bovine TB is the only vaccine that we have - which is the same BCG vaccine that we used in humans - has limited efficacy it's not quite clear if it can demonstrate herd immunity effects in populations, and more worryingly, it interferes with the basic diagnostic test that is currently the cornerstone of control; and in fact, legally, the definition of disease is reaction to this test which means if we were to vaccinate animals at the moment with the BCG vaccine they would test positive and then we would have to kill them. Chris - What can we do about that? Andrew - We could try and develop a vaccine which doesn't cause the reaction with the skin test. However, the problem with that is almost every vaccine which has shown any useful efficacy is in some way related to or based upon BCG. The second thing we can do is we can replace the skin test. So the current test is based on basically boiling up large amounts of the bacteria to get a soup of proteins which we then inject into animals and see how strongly the animal reacts to them. If we could replace that test with a more defined test which just uses proteins which we know are in the wild bovine tuberculosis bacterium but not in the vaccine strain then we could use the vaccine without interfering with the test and slaughter programmes that we use at the moment. Chris - So what's the question that you've been trying to address with this paper? Andrew - This paper came out of our call by the government to design field trials for the evaluation of BCG vaccine in cattle. This was prompted by a chain of events started by Brian May who is not only the lead guitarist of Queen but is now a very prominent animal rights campaigner in particular with respect to badger conservation. He visited the EU and made a lot of noise about why we weren't using vaccination. I don't know if these were actually connected but about a month later there was a letter from the EU which set out what they would require the UK to show in order for there to be a change in legislation to allow the use of vaccination. What they said is that we would have to do field trials. We have to demonstrate the efficacy of the vaccine on the farm in the field and we would also have to show that any replacement test to the tuberculin tests - or so-called DIVA tests - that stands for differentiate infected from vaccinated animals - those DIVA tests would also have to be validated at the same time under field conditions. As part of this, I had already developed some mathematical models which describe the spread of bovine TB, and the possible use of vaccination. So I was involved in the successful tender to design those field trials and show how large they would have to be in order to address all of the questions that the EU wanted to see satisfied. Chris - And what factors have you taken into account when you've drawn up this model? Andrew - The very basic assumption is that bovine tuberculosis is an infectious disease, and we built into the model which describes the transmission between cattle and also includes the possibility that infection comes in from other sources; and it also describes how testing is currently used in order to remove infectious animals from herds and how vaccination may interact with the testing regime. Chris - Now if you take all of the assumptions you've made and you take the predictions of your model how realistic are the expectations and demands of the EU for the implementation of vaccination? Is this something we could do? Andrew - The models suggest that trials along the lines that the EU is suggested would be extremely challenging. They would have to be of a scale that is almost equivalent to doing a deployment of the vaccine at the national level. So to understand the basic question of whether the vaccine works or not, that's actually quite straightforward. It would take model suggests about hundred herds. However to address this specific question of showing that the vaccine actually reduces transmission, that would require a much larger scales of the order of 800-1000 herds. The reason for this is quite simple it's that the models suggest that even if there was a very strong effect of the vaccine reducing transmission, we just wouldn't be able to measure that effect on a reasonable time scale of a field trial. So we only have around about five years to do a field trial and because of the very slow transmission of bovine TB, there just won't be enough data to quantify that effect. Chris - So is our answer to the EU then that this is just not practical? Are we exposed to antibiotics in animal meat?